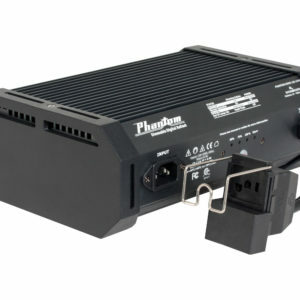 Galaxy® Legacy® DE 1000 watt operates on 120-240 volt power and features high frequency 105 kHz micro processing technology for running double-ended lamps. 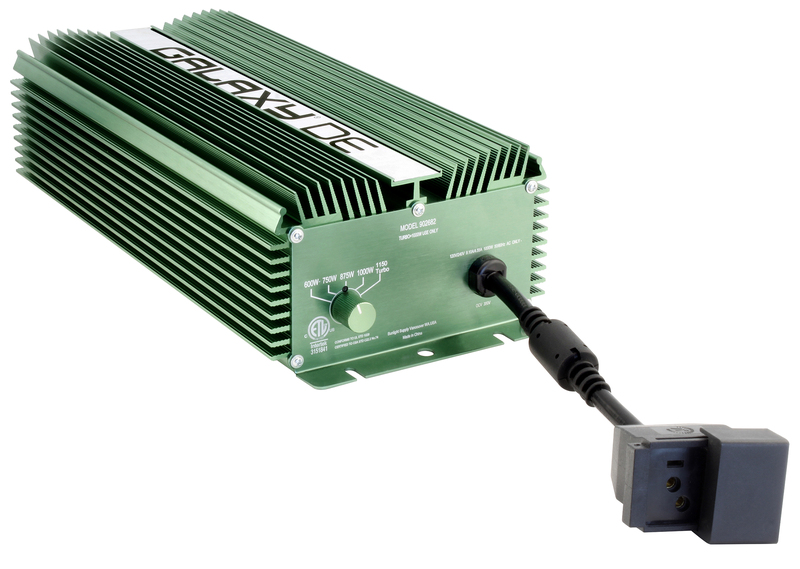 This Legacy® DE Select-A-Watt® ballast can operate a 1000 watt lamp at 600, 750, 875, 1000 and 1150 watts. 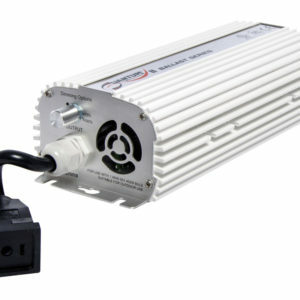 This ballast will properly operate a 600 and 750 watt lamp as well. Set the desired wattage on the Select-A-Watt® dial and install the correct lamp. Units are air-cooled for excellent thermal management. Feature a 600 Volt German-made MOSFET for increased reliability. Legacy® DE ballasts comes pre-wired with a dual universal lamp cord receptacle that is compatible with all Sun System® brand reflectors as well as other branded reflectors. 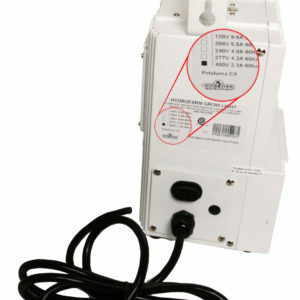 Includes Convertible Smart Volt® Dual Ferrite Power Cord 120-240 volt 6.5 ft with 120 and 240 volt plugs. 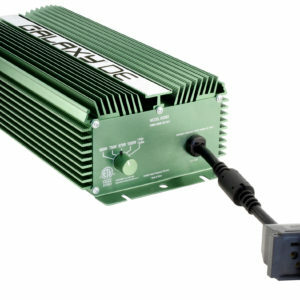 This ballast is lightweight, soft starting, fan cooled and features green LED indicator lights.